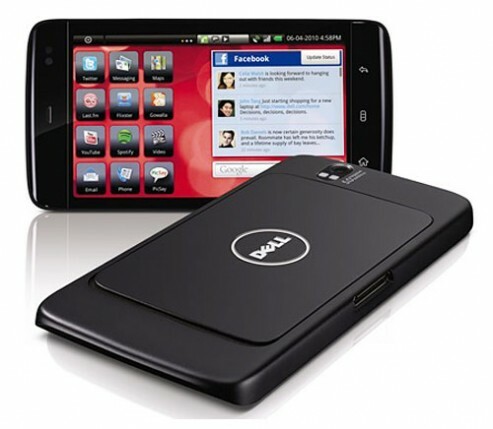 Dell has officially announced its Dell Streak Android tablet’s pricing and availability for US market. For those reside in the United States will be able to get Dell Streak by August 13th. Powered by Qualcomm’s Snapdragon 1GHz processor, 2GB internal storage, 5MP autofocus camera with dual LED flash, microSD card slot supports up to 32GB memeroy upgrade. Other mentioned features such as 3G, Bluetooth, Wi-Fi that support GSM/EDGE/UMTS/HSPA 3G mobile networks. Dell Streak has a 5-inch screen with 800×480 capacitive touchscreen display and it runs Android OS.